OK, so these two items are in no way, shape, or form known in any official terms as the “Tatooine Cosplay Starter Kit”. 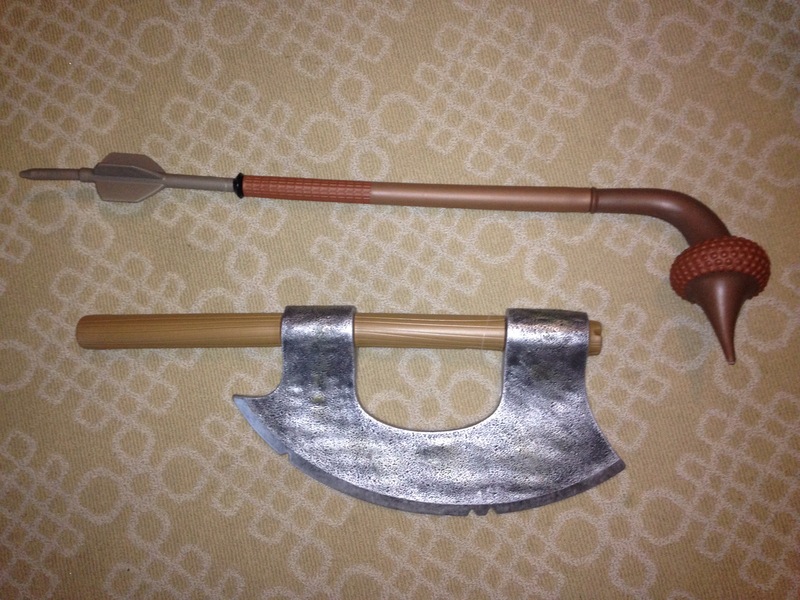 However, if you are looking for either a foam Tusken Raider’s Gaffi Stick, or are cosplaying as a Gamorrean guard (The pig guys that guard Jabba’s palace) and need one of their weapons (in foam), then these are honestly your best bet. We got ours on Disney property, so if you’re ever in the area be on the lookout for them. This entry was posted on Wednesday, August 31st, 2016 at 19:05	and is filed under Cosplay, Toys. You can follow any responses to this entry through the RSS 2.0 feed. Both comments and pings are currently closed.